These are, I believe, the first photographs of Myanmar's new capital, Nay Pyi Taw (also spelt as Naypyi taw or Naypyidaw) to be published anywhere on the web. Most of the 23 photographs here were taken on January 20 and 21, from the window of a car moving through the city's streets at high speed, or from the air, shortly after take-off. As far as I could tell, there are no restrictions on photography. The reason I couldn't walk about and shoot is very simple. The city is too huge to see anything on foot, there are virtually no taxis, and I was there for a very short time, as part of an official delegation. 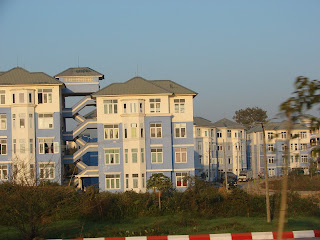 On the left is an aerial view of the new apartment blocks that have already been built for Myanmar's government employees. 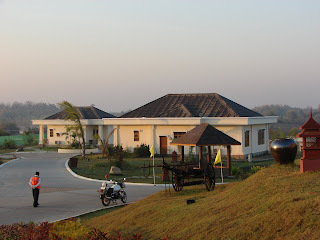 On the right, is the Royal Kumudra hotel, with bungalow-style rooms, in the city's hotel zone. 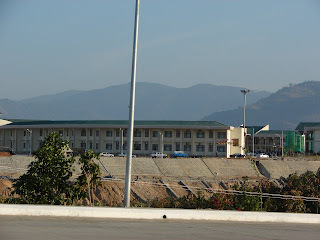 On the left is the Bayintnaung Yeiktha, the ceremonial reception centre for foreign dignitaries, at the Ministry of Defence. On the right, an office building. There are no tourists yet, and no reason why there should ever be any, but an information centre has already been built (left). On the right, the Ministry of Planning and Economic Development. 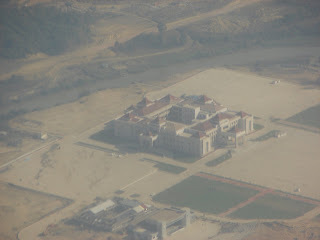 On the left is an aerial view of a very grand building, purpose unknown. 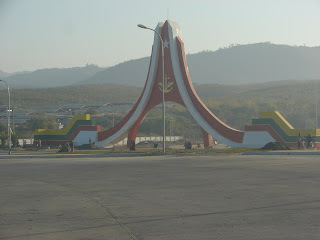 On the right is a ceremonial gate in the Ministry of Defence zone of the capital. Another office building, in the military zone, and on the right, a picture of the ongoing construction work that is taking place at various places in the city. I'm pretty sure I ran into your delegation limoed to sightsee in the Mandalay palace. We were there visiting around January 22nd and saw an Indian delegation visiting the palace, escorted by Myanmar military. Wonderful photos, a really fascinating and rare glimpse. I wish more people in the west cared about the situation in Burma. The regime seems to be hunkering down in anticipation of a day when people finally take notice of their atrocities. sir... I cant find anyone living here... how was the city like? does it give a feel of some new industries being set up? 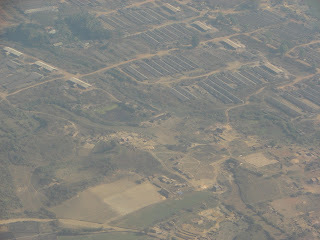 or does it give a glimpse of a city like Chandigarh??? Thanks for your fascinating photos. The vastness and grandiosity of the city reminds me of Pagan - but with a political rather than religious ideology as its foundation. The photos are great. The capital is strange. It looks like a US suburb. Will they expecting travelers soon? A service by the bizleadsnet directory of web logs. Thanks for posting the pics. A fascinating look into little seen place. If you've got anything else, please share. This is fascinating! It's not often that entire cities are built for such important reasons. Although I find the ban on ordinary people to be disturbingly reminiscent of North Korea's Pyongyang, from a purely detached point of view, it is very interesting. I wonder what this city will look like in ten years. Thank you for posting these photos and satiating my curiosity! As long as countries like China, India, Korea and Thailand turn a blind eye to thes sufferings the people of Burma are going through, Napyidaw even though seems lifeless will eventually flourish. Shame on all these countries. just looking at the photos makes me want to puke. Does anyone know the hardships the local people had to go through just to make way for Burma's ruthless and despicible junta to achieve their aim? Have you ever lived in burma earning ordinary wage? If you have "Dollars", of course you will be treated like a king in any developing asian countries. Army Regime can't provide electricty and running water 24/7 like here in the West. Believe me. I have been there. Done that. Ask your self why many people wanna move to USA? Looks like parts of communist China to me. Goverment just spoil people money!! what do you think? 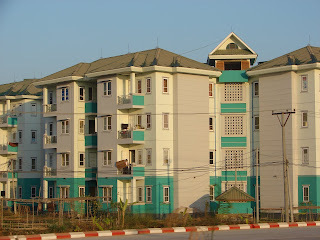 Do Burmese people really neet it? I have to disagree with the earlier poster who suggested the photos looks like suburban America. 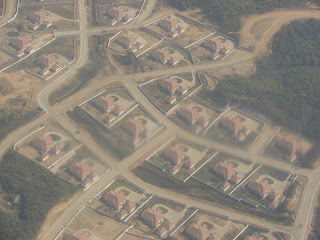 In fact, they don’t look like suburban America at all. They look very much like moderately shoddy blocks of flats that can be found from India to Vietnam. New cement monsters coated with a thin veneer of paint and filled with people unaccustomed to living in such buildings. 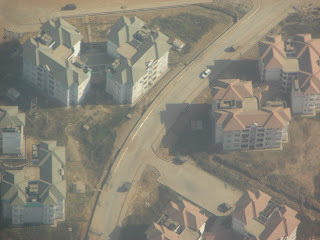 Soon chickens and pigs will walk the corridors of the top levels of the buildings. Soon after that the lifts will stop working. The finishing touches will never have been finished, so gaping holes will be interspersed with cracks. Like the rest of Asia, the Burmese will allow steel reinforcement bars to jut in to the air like an announcement that either the contractor was too lazy to complete the work, or the owner has unrealistic expectations that the building (someday) will continue expanding upward. Nonetheless, the steel rebar will forever remain as a testimony of unrealistic expectations. No, these photos do not look like suburban America. Not in the least. The concept of creating an artificial city as a national capital is not new. Brazil fabricated Brasilia, The United States built Washington on a swamp, Australia created Canberra in the middle of nowhere, The Ivory Coast has decided to follow suit and make Yamoussoukro. Burma could orchestrate an architectural marvel if they do it right, but after seeing what the current leaders are promoting as architectural standards in their nation – I suspect Nay Pyi Taw will soon be a crumbling, fractured hodge podge of makeshift buildings with shoddy temporary repairs dominating the visual landscape. Burma is such a beautiful place – too bad the nation has been frog marched down the path of regression by the military thugs. Too bad also that they don’t invest their filthy lucre in to restoring the grandeur of Rangoon. Listen you People out there, there is only one way to go, i.e., hand in hand. If the people of a nation go hand in hand, that nation goes properous. If the people of the world go hand in hand, the world goes properous. As simple as that. Contrary to this, doesn't matter locally or globally, brings dispare to everyone involved. Come on people, wake up. Don't just eat burgers and say things that are limitted by your knowledge. Many out there can't even pinpoint where a country is on the world map. Learn the true history for not repeating it again. It's time to go hand in hand and help each other out. Don't forget the "Middle Way" that the Buddha said. What does "hand in hand" and eating burgers has got to do with Naypyidaw? He sounds like an incompetent junta propaganda officer. Does anybody has any idea what Observer is talking about? I found the references to "hand in hand" and "eating burgers" terribly obtuse. I wonder if he's a junta propaganda officer. His rhetoric sure is as confusing as theirs. Burma is a classic case of Mis-Management in a gargantuan scale. Nay Pyi Daw is nothing but an astrologer's ill-conceived whim, carried out by blinded, poorly educated, fickle, and greedy cretins. Sorry, did I put that last part subtly enough? 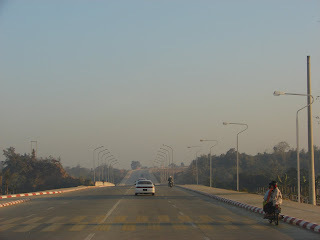 Surprise to see Myanmar’s new capital. 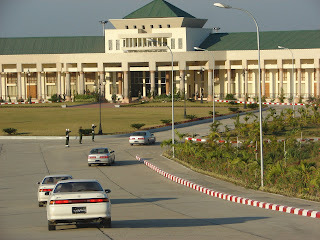 After I’ve heard news on TV yesterday that they allowed foreigner journalists 48 hours to take a photo of Nay Pyi Taw. I live in Myanmar (not Burma) earning ordinary wage. Life is tough but happy here. Believe me. I am still here. Ask yourself why many people don't wanna move to USA? I also don't want to stay in USA. ANONYMOUS -- you earn in ordinary wage? So you cannot stand on it alone because every price in Burma's market is skyrocketing. You must have been bribed US $. There's no school and hospital for children in Kyat-pyay (Nay-pyi-daw). So your family cannot stay there. Never come back to Rangoon from every weekend? You don't want to stay in US. I know it very well because there is strong rule of law in the US. 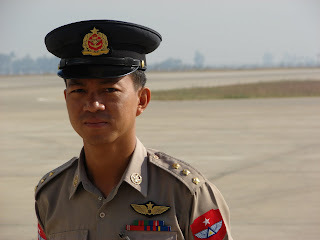 You cannot do unfairly and illegally there as you always do in Burma. But you may regret one day when any Burmese current laws cannot protect you. Hoping you can refuge in the US. 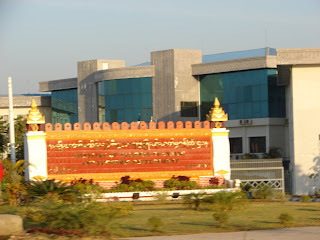 I often go there(Nay Pyi Taw) for job. I think, although we need to move the capital to another place, it really should not be now .In our nation the money for health and education is so needed. 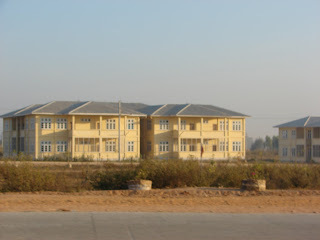 To create Myanmar as a developed nation the government should invest in this sectors instead of building a new city. God bless the Burmese people! Let's hope they achieve their freedom soon. Western-style democracy may not be applicable everywhere, but democracy itself is universal. In the meantime, governments in Asia and the West should continue to pressure the junta for democratic reforms. That's perhaps the most realistic way to help the country. We Americans want to put our noses in every part we think .....Be aware here in USa we have many of those EMPTY places -almost all rural America- is like that. Our "Military Junta" are the Bushes ans similar washingtonians, at least there in Burma they do not DISCRIMINATE Blacks or minorities as we do here, they are Facists but not Hitlerians, we are, SHAME ! Hasn't anyone learned anything about city planning over the past hundred years!!?!? This city is disgusting, I would be ashamed to have it as my capital. If the junta thought they were building something special, they should take a drive through Northern Virginia. The buildings, even the "grand" ones, are ugly, the streets are like interstate highways, and the separation of uses ensures that the city will remain dead forever. 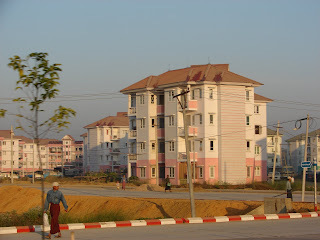 Nay Pyi Taw is everything that is bad about US suburbia x 100000000! 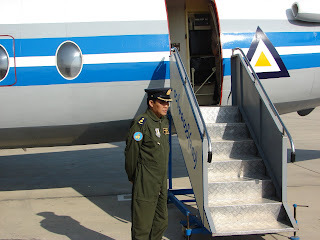 So this is what the Army-Pay-Lo-Ma_thars have been spending the people of burmas money on? They spent a fortune, making it look like something from the Stepford Wives? Jesus, how stupid and far removed from reality are these people. I have to see considering the protests going on right now all I can think of is that probably every major member of the junta is currently in this city, the buildings are spread out to prevent mass demonstrations, and there are few except army and government officials actually in the place, and it looks like an excellent target. I think a few targeted strikes might wake up the generals and convince them to compromise a bit. I had a shiver all over my spine!How can they build a city like that?How can we let them do that?Who is the mentally ill? We are all guilty !Shame on them, but shame on us! I wouldn't be surprised if that entire city was built using forced, unpaid slave labor. Does anyone know? I know they regularly use slave labor to build roads, so it wouldn't surprise me. I think the regime is paranoid that someone someday is going to invade them because they pose a threat to regional peace and security? Perhaps. I hope things change peacefully, but doubt they will ever give up power, not with China backing them up like they do with North Korea. I lived there for my whole life untill two years ago, when I moved to Germany. There is a small but nice town called Yezin (which is famous for three universities, such as the Yezin Agricultural University YAU. 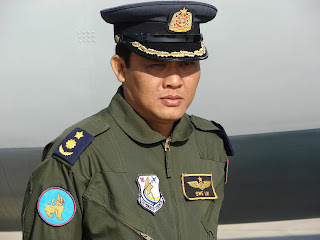 Yezin is now part of Naypyitaw. It was a very beautiful place, with a lot of plants and green landscape. That is why the Universities are moved to here from Mandalay some decades ago. It was my home town, an oasis in the desert. But everything changed as the Goverment moved here and suddenly called this place our new capital. They used an incredible amount of money building a new city, whereas most of the other cities (even main ones) don't have enough electricity and so on. That was such a waste. And who lives there?? Only govermental workers/stuff who work for ministries and who, without their will, had to leave their families to be here. 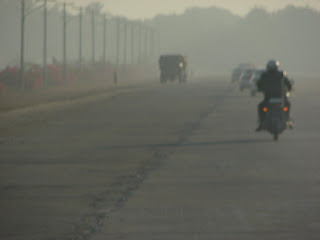 There is nothing but dust and buildings, nothing but loneliness and streets, nothing.. They may be able to build a new city, but they certainly couldn't build 'home' for those who have to live there. Sometimes, things change. But sometimes it's in a worse way, like this. The photos brought back many memories. Thanks. i think it's just like australian 'canberra, ottawa's canada or DC of the americans.. Please help me with my dissertation thesis! My name is Anja Moeser and I am a German College student at the International University of Applied Sciences Bad Honnef Bonn. I am currently working on my dissertation thesis "The travel motives of visitors to areas recovering from crisis at the example of Myanmar". 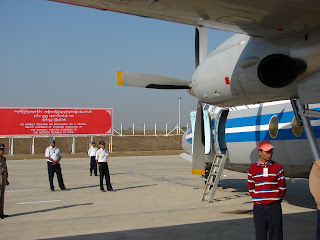 The survey is directed at all people who have already traveled to Myanmar. The success of my thesis depends significantly on this survey and the answering of the questions takes on average no longer than 10 minutes. Therefore, I kindly ask for your assistance. 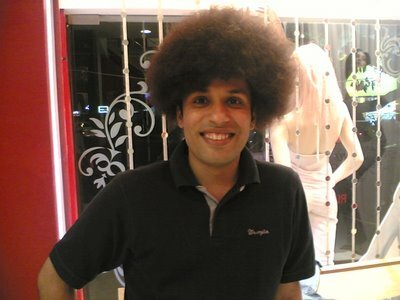 Naturally, your answers will be handled anonymously as well as confidentially. Great photos! 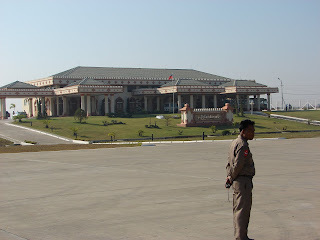 As a Myanmar citizen I haven't seen any cities and towns like Nay Pyi Taw in Myanmar now and before. New Capital standard is equal to neighboring capitals of Southeast Asia. I can surely say that this city is being built by Junta using money earning from Shwe Gas Project of Arakan, Western Coastal of Myanmar without doing any regional developments. 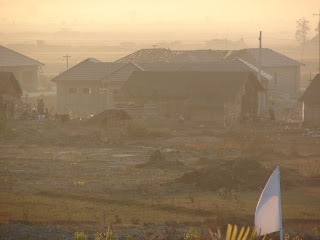 Military Junta trying to earn money from Shwe Gas Project oppresses and tortures Arakanese People in their region. Great shots. Regardless of the fact that there seems to be more politics than critique in the comments, the fact remains that the de facto rulers are firmly in place with no hope of them being dislodged. I would urge all to know that any nations destiny is shqaped by their people, and their people alone. Myanmar will be what they decide, in the fullness of time. The photos are beautiful!! 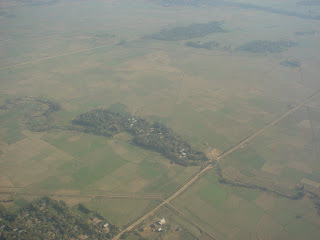 I think Burma is a very interesting place to visit (politics and govt system, human rights, etc, aside)... I would surely visit Burma one of these days.